Easy living at its best! 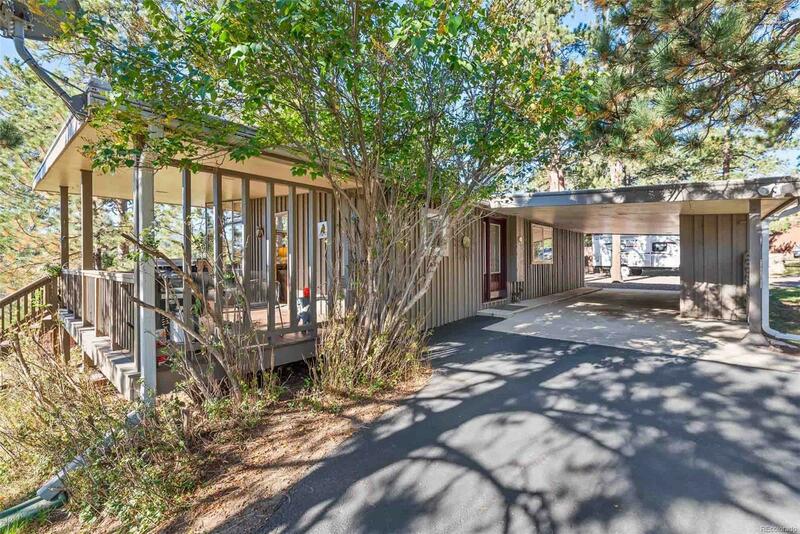 This house with a Mid-century modern vibe is close to everythingâ¦..Evergreen High School & Wilmot Elementary, Buffalo Park Community Garden, Wulf Rec Center, Golf Course and the Lake. Loads of windows and tons of natural light. Ranch style home with just two steps to get inside the front door. Very large deck, including a covered deck, plus a fenced back yard. Master bedroom also opens to the spacious deck and has an ensuite bathroom. No garage, but there is a 2-car paved carport right at the front door, and plenty of parking on the flat driveway. Tremendous amount of storage with 3 storage compartments in the carport, plus a large utility shed. The kitchen appliances & hot water heater are just a few years old, the roof was replaced in 2012, and the gutters are Leaf Guard.